During 2010 John and Elaine held an “Introduction to your Star Children” gathering in Heemstede, Holland at the invitation of Pauline and Robert Weerts where we first met Joanne van Wijgerden. 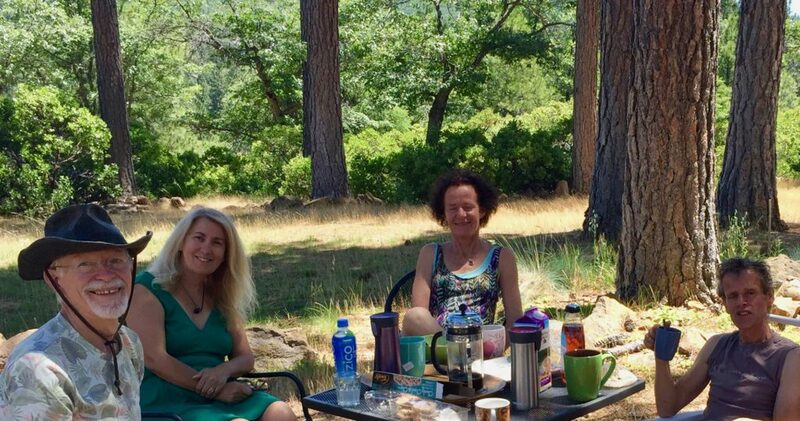 We had already begun to receive telepathic and holographic information, through quantum multi sensory communication, highlighting the potentials of co creating with Joanne, her family and husband Jaap in Group Gatherings. These multi sensory movies showed us collaborating with the family of Joanne and Jaap although at this point we had not, even met. After numerous emails and Skype conversations and telepathic exchanges between our two families following the meeting in 2010, Joanne invited us, through her Healing Arts program, to co create a workshop in Varik near Tiel. In co-creation we collaborated and assisted with other facilitators, practitioners, Star family coaches & counsellors who were already working for over 10 years within the Healing Arts group holographic community using Liquid Light Frequencies. We connected on even deeper layers with Families and Star Children through Sound & Light chambers which assist us to connect with our Multi Dimensional selves. 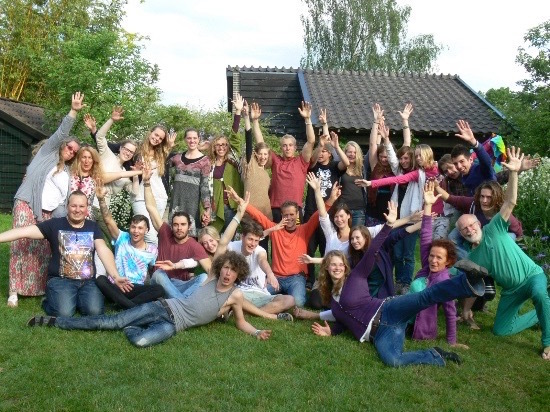 For 8 years Healing Arts hosted in Holland the group activities of a Young Star Master “Chandra” an omni dimensional telepathic young girl from the USA who further assisted the group expansion. Chandra had already begun telepathically connecting with our own family in the UK in 2007 and we co created a hosting of her visit to both the UK and Holland in 2011 well attended by Star Soul family members from UK, Holland, Belgium, Canada, USA & Scandinavia. Since 2010 we have been in merged state of Co-Living with Joanne & Jaap and their Star family members, along with Josef our own son. Together we are bringing forward new realities of a living experience with a deeper quantum connection between our Soul families. We have since collaborated on many Workshops and Sound and light gatherings together bringing forward deeper layers of group awareness of our our Star Selves. We assisted the introduction and integration of communicating telepathically and co-existing in higher love frequency fields with our multi dimensional selves. This has only been possible due to the deep sense of unconditional love field which evolved between the members of our Families and their openness and honesty with each other. When co-existing within Star Family collectives in other realms of existence a love frequency a bond or webbing coexists between family members where all aspects of our SELF are valued equally within the whole family collective or pod experience. Together we have been exploring the multi dimensional “fabrics and textures” which make up our current strata of belief as a human being. With a deep sense of gratitude towards each other for this valued experience of sharing family life within different cultures and backgrounds we are breaking down the need for old patterning within the family structure and rebuilding new patterns of relating to our selves within the family roles of mother father sister brother son and daughter interchanging roles beyond the “normal” family matrix. This allows all of us as family members to become more fluid in our movements in our current reality and less connected to “matter”. We can “let go” of older family role modelling, so we can respond more fully and adapt to new ideas, concepts and experiences within our daily living routine. Literally allowing all roles within the family to be redefined with a guideline of mutual respect and integrity for each others sense of well being. As a family this opportunity for shared living and traveling our collective journeys together both internally and externally has been an extra ordinary opportunity for growth and self revelation. We are taking the experience of being multi dimensional in any facet which reveals itself in the moment or in a quantum reality state through dreams, alternate reality states, cognizance and intuition. We all soon discovered that the Group Family consciousness assisted all of us as individuals in making Quantum leaps in our understanding in bringing forward even more of “Who we really are” . We become more able to co exist in a more integrated form with our Star and “other realm” selves. Sharing skills and attributes within the Family Group energetically. Where each individual takes independent, self responsibility for their own evolutionary experience. We co create this living experience in a state of consciousness and greater awareness of our feelings thoughts and actions within the family group as we become a more unified quantum field together. Within the families we can then experience living more as “conscious creators of our own reality” where we are less reliant on old structures for guidance. In a lower frequency these guidances have been revealed through our emotional and mental body states as they have been the driving forces to our responses to each other and our surroundings. As a joint Family we have traveled together and stayed for extended periods within Holland, UK, France, Belgium, Scandinavia, various American States including Arizona, Nevada, California, Colorado and Hawaii along with other Sacred spaces around the globe which carry a high frequency resonance in the support of change for us within our evolutionary process. These places are often in the forefront of pioneering new concepts and ideas for change within work, family and environmental issues. As Europeans we have embraced our connections as a Star Global Family of human beings who carry a consciousness and openness which feels more ready to receive new ideas, innovations and templates for the new Family human living experience. We are ready to assist younger generations in a loving co operative, co-creational supportive way. Please join us if you receive your call to assist and support your Star child and play your role in the evolution of humanity on the new earth within this Star Global Family. We are intending to create new tablets of living experience, physical and virtual communities, new learning potentials and opportunities where the whole family can be more of their multi dimensional selves Living in Co Creative Universal harmony.